I have no idea who Topeka Hartte was, it is obviously a nom de guerre for someone, but who that some one is I do not know. 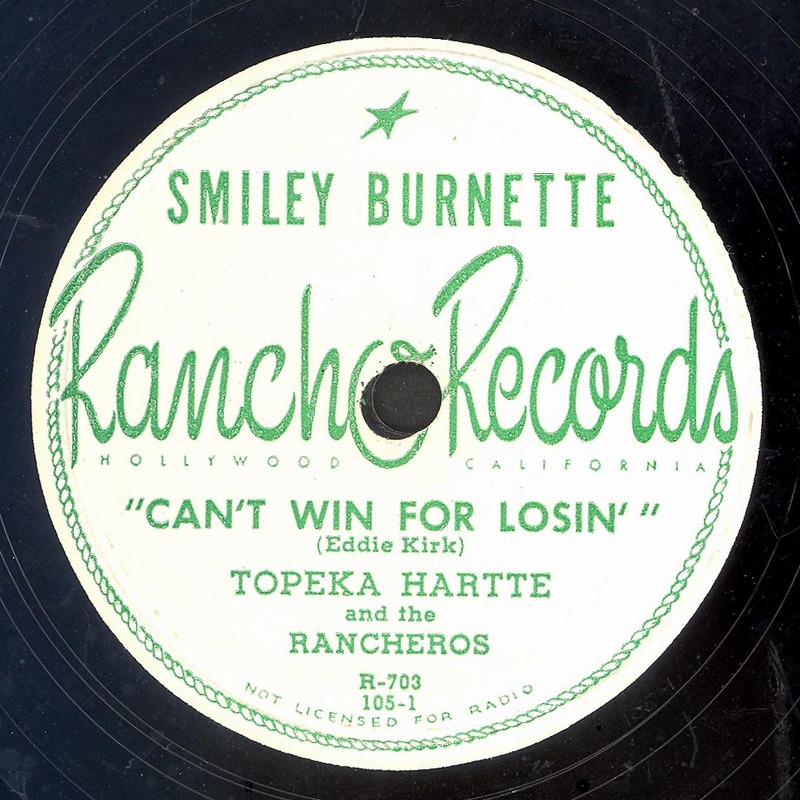 The prime contender must be Smiley Burnette who owned RANCHO RECORDS, however it does not sound like him. 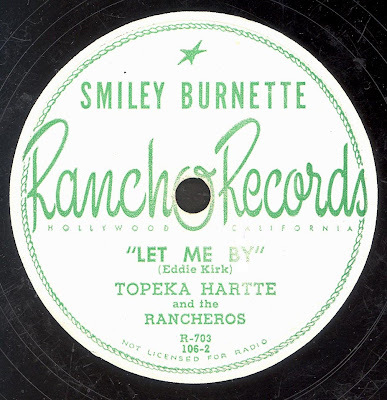 Eddie Kirk, who composed both sides of the record is another candidate I suppose? The record was reviewed in BILLBOARD in January 1947, so was probably recorded in late 1946.